I love creating dresses for the next step in life. 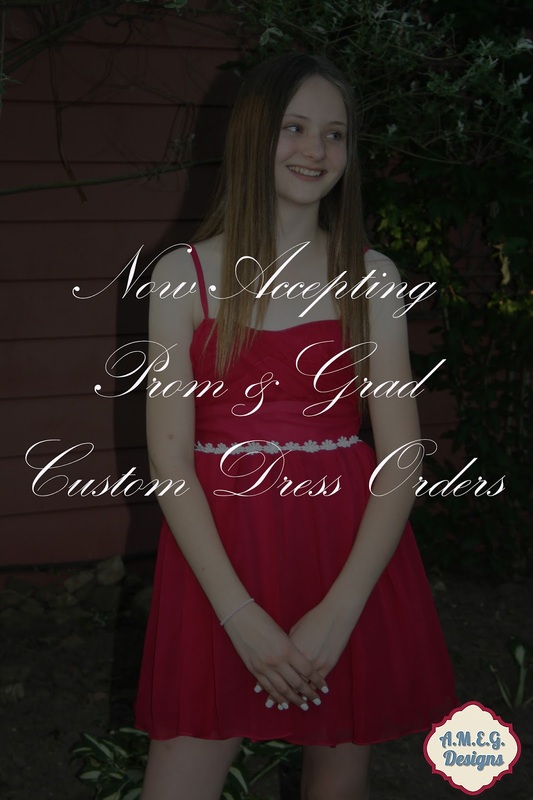 Whether it is for Grade 8 graduation or your final year with Prom, this is one of the most important transitions. I remember wanting the most specific dress for my prom and then found something completely different. I am glad that now I can create dresses for young girls to create their dream dress that fits perfectly. "Wonderful experience from start to finish. Amazing customer service and open communication throughout. We are extremely happy with the end result and would highly recommend her without hesitation!!" "A.M.E.G. Designs took a dream dress for my daughters graduation and made it a reality. From our first meeting through to the final fitting it was all amazing. Thank you Amanda for making this such a pleasant and memorable experience!!"